(C) Photographs, illustrations, and tables may be reproduced by any method that results in a good copy of the original; a glossy finish is acceptable if the original is glossy. (F) the name, office address, and telephone number of counsel representing the party for whom the brief is filed. (4) Paper Size, Line Spacing, and Margins. The brief must be on 8 1/2 by 11 inch paper. The text must be double-spaced, but quotations more than two lines long may be indented and single-spaced. Headings and footnotes may be single-spaced. Margins must be at least one inch on all four sides. Page numbers may be placed in the margins, but no text may appear there. (5) Typeface. Either a proportionally spaced or a monospaced face may be used. (B) A monospaced face may not contain more than 10 1/2 characters per inch. (6) Type Styles. A brief must be set in a plain, roman style, although italics or boldface may be used for emphasis. Case names must be italicized or underlined. (A) Page Limitation. A principal brief may not exceed 30 pages, or a reply brief 15 pages, unless it complies with Rule 32(a)(7)(B). • uses a monospaced face and contains no more than 1,300 lines of text. (1) The cover of a separately bound appendix must be white. (2) An appendix may include a legible photocopy of any document found in the record or of a printed judicial or agency decision. (3) When necessary to facilitate inclusion of odd-sized documents such as technical drawings, an appendix may be a size other than 8 1/2 by 11 inches, and need not lie reasonably flat when opened. (c) Form of Other Papers. (1) Motion. The form of a motion is governed by Rule 27(d). (A) A cover is not necessary if the caption and signature page of the paper together contain the information required by Rule 32(a)(2). If a cover is used, it must be white. (B) Rule 32(a)(7) does not apply. (d) Signature. Every brief, motion, or other paper filed with the court must be signed by the party filing the paper or, if the party is represented, by one of the party’s attorneys. (e) Local Variation. Every court of appeals must accept documents that comply with the form requirements of this rule and the length limits set by these rules. 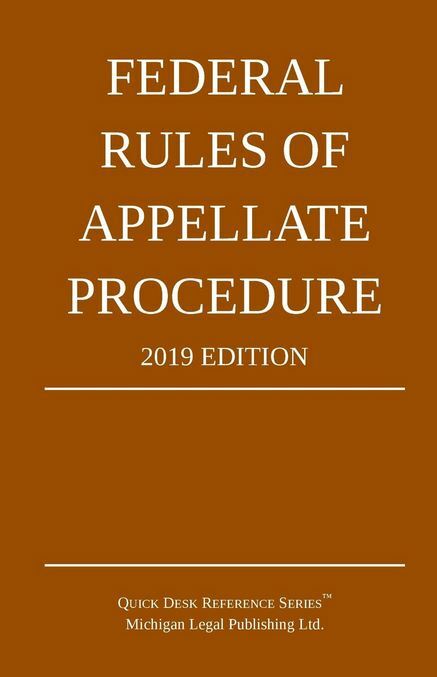 By local rule or order in a particular case a court of appeals may accept documents that do not meet all the form requirements of this rule or the length limits set by these rules. · any item specifically excluded by these rules or by local rule.